Ocean Bridge connects Canadian youth from coast to coast to coast empowering them to make a difference towards ocean conservation. Each year 40 youth (ages 18-30), form a national team engaged in co-creating and delivering service projects for their home communities and two immersive expeditions addressing Ocean Health and Ocean Literacy in Canada. The Ocean Bridge 2019 cohort will run from February 1st, 2019 to January 31st 2020. Through regular video conference sessions and an interactive online environment, youth connect as a national team and with the broader community of ocean conservation. The team identifies priorities for their extended service expeditions working with members of the community they will be traveling to ensuring collaborative co-creation of their service projects. As individuals, youth receive weekly mentorship and coaching sessions from Ocean Wise educators and experts, building their capacity as ocean leaders in their home communities where they will complete 1-2 hours of ocean service a week. 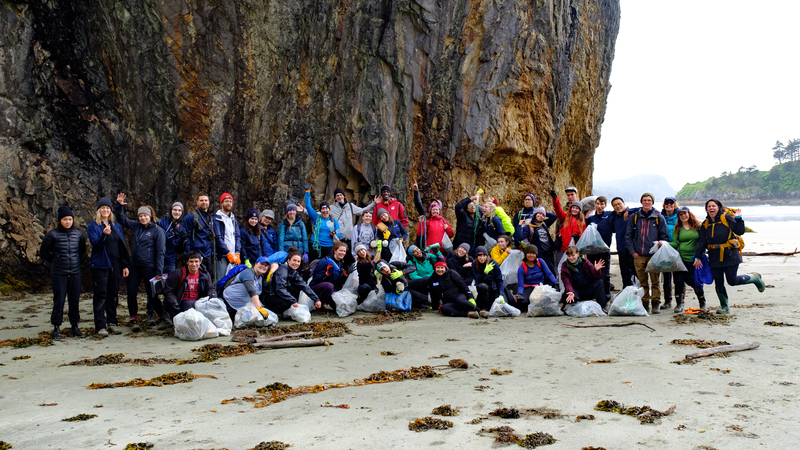 During the spring, Ocean Bridge youth participate in a 10-day immersive wilderness expedition delivering a marine conservation service project of their design. The national team spends the months leading up to this extended service co-creating their project with the local community and each other. By living, working and reflecting as a team in an iconic natural setting, youth will develop social capitol, respect for diversity and a heightened sense of responsibility and pride. See our Frequently Asked Questions. If you have specific questions about the program, (level of commitment required, if it is the right fit for you, what you can expect, or anything else) please contact us at oceanbridge@ocean.org.